Explore what really works for you, to create a business (life) you love. Note: Explore You is closed to new students, but may open for a new round in 2014. To find out more, sign up here. I want to live in a galaxy free from the tyranny of shoulds. Free from confusion. Where you know what to do. Where you know what will work. And you actually do it, without procrastination, self doubt, or judgment. Where you find the answers to your questions, within your own experience, without looking to outside experts. Where every day is an adventure into the stuff we love to do and the people we love to do it with. We craft this business (life) confidence by exploring what we already know. You spot what's already working and build on it. You find the good and shiny parts (effective marketing, productive schedules, compelling writing), and make them better and shinier. You befriend your business. This takes time, this takes experiments and this takes courage. I want you to have this courage to trust yourself. I want you to feel the freedom + permission + a deep confidence to build what will work for you. So that you can stop waffling, and start doing the work that matters. I want you to find and follow the path to your best products, people and mission. So let's explore your path. Let's Explore You. 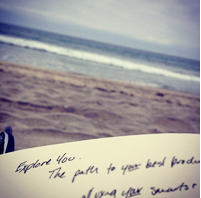 Explore You is a three week adventure into your business, in order to craft a business (life) you'll love. Together we'll explore what works (and what doesn't) for you. You'll learn what you need to know in order to make decisions easily and effectively. You'll explore all this through a focus on the thing that needs improvement (whether that's your shipping, your writing, your schedule, your marketing) and build on what's already working beautifully. You'll be working with your business to craft a life you love. You'll build confidence through recognizing what you're already doing right. You'll learn how to make decisions for yourself. And you'll have the strength to ignore the “shoulds”, the Rules, and the not-right advice. Through a mix of videos, worksheets, and class discussion, I'll be sharing my favorite exploration tools and leading you through your own exploration. You'll pick an area that needs some love, attention, or improvement and then you'll apply each tool to this area. Your Area of Exploration might be your social media presence, your daily schedule, your mission, your people, your blog…or something else that's been vexing you. Throughout the adventure, you'll give this area the attention it needs, so that you can make easy decisions. At the end of the exploration, you'll feel confident and ready to act; you'll learned from your business, and you'll be armed with the tools you need to explore any area. Ready to explore? Join the adventure! Explore You is closed to new students, but may open for a new round in 2014. To find out more, sign up here. A friendly online space for you to connect and get feedback from the other biz smarties in the class (and me). A happy PDF of the entire course for you to refer to again and again. A written lesson introducing you to that week's exploration. A video about a new Exploration Tool (and how I use it), along with a full written transcript. A hands-on Project, where you'll practice Creative Joy Capturing. Discussion questions + worksheets, so that you apply the lessons to your specific business. A space to ask questions and share your exploration. If you've taken part in the Exploration Party, you'll save $30! Just be sure to share your link with me, and I'll refund your $30 as soon as you join! My mission in life is to make you an explorer – to find your own answers, to trust yourself, to create a business (and life) you really love. Because I know this is the only way that works, in the long-term. 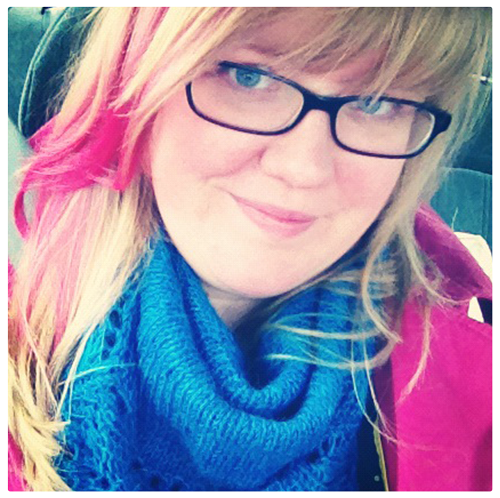 When I quit my day job to make yarn full-time four years ago, I had worked for months towards an income goal. But then, life fell apart. In one month, my car caught fire, my husband lost his job, and my house was broken into. Since that inauspicious start, my creativity has been paying for bills, hotel rooms, great food, and generally living life. In the beginning, it was a scramble. But since then (and every day) I learn a little more to make it a little easier. I test what I learn on my clients (and here's what they say about it). I grill every other profitable biz lady (or gent) I meet – from my dad the contractor to the local coffee shop owner. What works for me (and most of them) is trying things. Paying attention to what works, and then doing MORE of that. It's not the newest social media tool or a specific marketing plan — it's everyday improvements and tiny tweaks. It's cutting out everything that doesn't work. It's finding the best bits of your business and exploring them fully. Click the big pink Register button. You’ll be taken to the registration page, where you'll create your profile and pay the class fee – you can pay with any credit card, bank check or your Paypal account, completely securely. Whoosh! As soon as you complete payment, you'll be in the class! You’ll have immediate access to the Welcome materials, which will walk you through using the site and give you a mini-assignment to be working on. Once class begins on August 19th, you’ll get the lessons, via email, every week. At the end of class, you’ll get a beautiful PDF that contains all of the lessons of the entire course. This class will be available online, for you to revisit as often as you like, until December 31, 2013. There’s no timeline or time of day you need to be online. You can start the lesson as soon as you get it or save it for the afternoon or late night. You can even save it all up for the weekend (but that might be a bit overwhelming, I think.) On September 6th the online conversation will end, but you’ll have access to the materials online until December 31st. You're afraid you're wasting time wondering: What should I do? The classes, books, and blogs don't have The Answer to your burning question..and you're starting to believe that your questions and your business are just too unique for pat answers. You want to feel like you and your business are good friends, with the same goal of Making Life Awesome. You like to learn tools and frameworks you can apply to a bunch of scenarios, instead of single one-topic-only lessons.